The Glorvigens make Insight Genesis maps simply by driving around in their boat and recording sonar data with their Lowrance HDS unit. When ice fishing, they use their Genesis maps on an HDS unit mounted above the handlebars of an ATV. Scott and Marty made their Insight Genesis map of the lake they are fishing on this cold winter day back in the late summer, simply by driving around in their boat and recording sonar data with their Lowrance HDS unit. 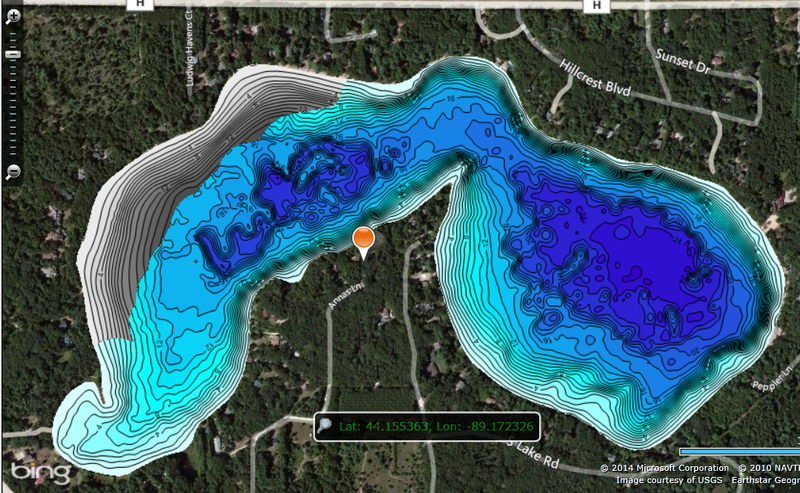 By uploading that sonar data to an Insight Genesis account, they created a custom fishing map of the lake, complete with one-foot contours, a vegetation-location chart and a bottom-hardness transition chart. 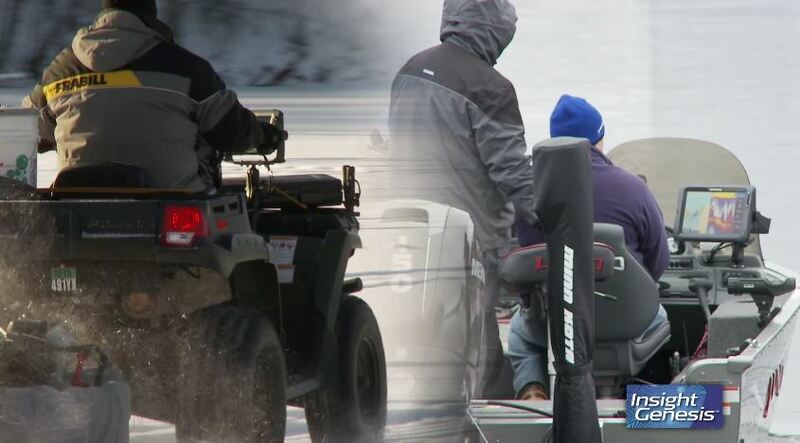 They’re using that one-of-a-kind map to find and catch fish today, having saved it to an SD card and loaded the card into the HDS unit mounted on their 4-wheeler. As savvy anglers know, gamefish often congregate on subtle changes on the bottom – slight elevation breaks, isolated weed clumps, and transitions from a hard bottom to a soft bottom. Insight Genesis helps you find and fish these hotspots. Prior to making their Insight Genesis map of the lake – one they had fished many times prior – the Glorvigens thought they knew what the lake bottom looked like, Scott says. “But reality is there was a lot of really subtle changes we weren’t aware of,” he acknowledges. As savvy anglers know, gamefish often congregate on subtle changes on the bottom – slight elevation breaks, isolated weed clumps, and transitions from a hard bottom to a soft bottom. Insight Genesis is the only DIY mapping program that empowers anglers to find, map and fish all three via a cloud-based program that allows you to also download other anglers’ shared maps of lakes you fish and keep all your map data secret and private, if you choose to. 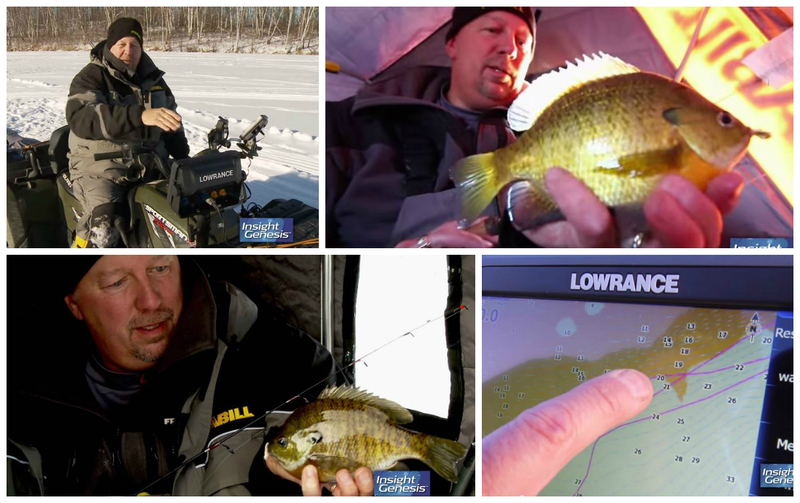 The Insight Genesis bottom-hardness chart – an optional map layer that can be turned on or off while fishing – helps the Glorvigens find and catch many fish on this day on the ice. By locating the dark-orange-colored areas on their Insight Genesis bottom-hardness map, they can drive to, drill and drop baits at areas where the lake bottom transitions from a hard to soft bottom. The Glorvigens use Insight Genesis maps and their 4-wheeler to “draw” a trail in the snow along bottom-hardness transition lines. The Glorvigens use their 4-wheeler track to “draw” a trail in the snow along bottom-hardness transition lines. They then drill holes along those trails and walk them, dropping the transducer of a handheld fish-finder down each hole, looking for fish. 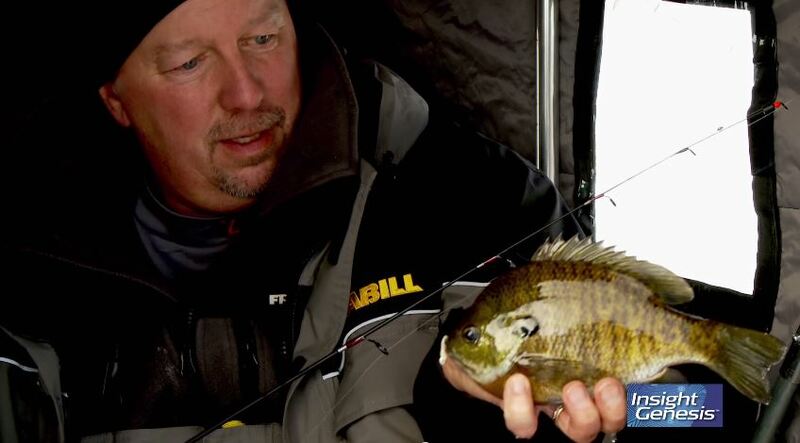 Where they see fish on their screens, they drop baits and catch ‘em. With Social Map, you can quickly and effortlessly get detailed contour maps of thousands of water bodies, including those close to home, across the country, and around the globe. 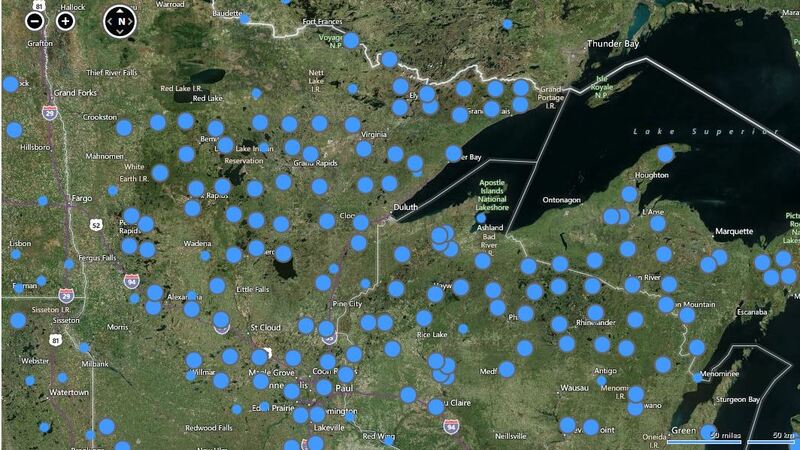 If, unlike the Glorvigens, you didn’t map your favorite ice-fishing lake this summer or fall, check Insight Genesis Social Map for a community-sourced custom chart you can download to an SD card and use on the ice in your Lowrance HDS or Elite sonar/GPS unit. Your favorite fishing hole might have already been mapped by other community minded anglers. Built on a base layer of existing Insight contour charts (gray-scale on the map above), Insight Genesis Social Map refreshes itself in near real-time with current sonar data (blue-scale) shared by the Insight Genesis community, revealing new fishing holes for anglers in never-before-seen detail. 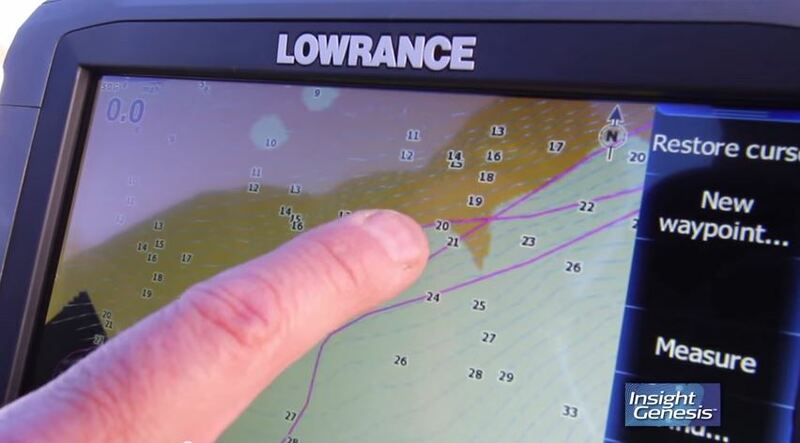 Insight Genesis Social Map is an online database of custom contour maps generated and shared by community-minded anglers and boaters in the Lowrance community. With Social Map, you can quickly and effortlessly get detailed contour maps of thousands of water bodies, including those close to home, across the country, and around the globe. Built on a base layer of existing Insight contour charts, Insight Genesis Social Map refreshes itself in near real-time with current sonar data shared by the Insight Genesis community, revealing new fishing holes for anglers in never-before-seen detail.